It’s done. It’s ready. 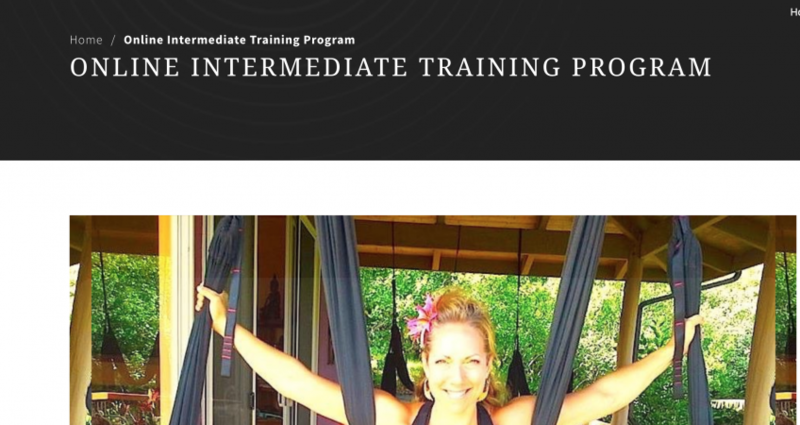 One and a half years in the making, after the launch of the first Basic Training Online Certification, the Intermediate Online Training is live!! Life is full and there is plenty happening, almost way too fast to really appreciate it. So, I’m inviting you to take time to slow it down and really celebrate all of the (small and large) victories in your life. Whether it be simply getting out of bed and taking care of your family, or making it to work today, or launching a freaking new course, LET’S CELEBRATE EVERY SUCCESS. My life has been full of moments where I reflect on my direction, my progress, whether I’m doing enough, or whether I’m doing too much, lol!! The truth is it’s more important to give presence to WHAT IS working and what is in front of you, and a little less on what’s ahead or still needs to be done. I was inspired to share this little nugget of goodness. I hope you enjoy it! This 6 unit intermediate course will teach you all the required skills needed to teach a student strength training and pivot points while using the AYRx yoga swing. The focus is on core activation and learning to leverage your power to access more sophisticated poses. 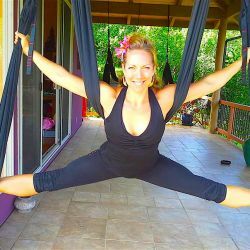 The course is aimed for anyone who wants to become a certified intermediate level instructor in Aerial Yoga Play, or someone who has the desire to deepen their own practice for better health, greater flexibility, and gain confidence. We cover everything from strength training to the Physics of the body. Even if you’ve never done yoga, or aerial, or feel physically fit, you’ll be able to quickly jump in and learn the basics as well as access greater levels of power. The simple step-by-step instructions in this online training are appropriate for any level of experience. It is required to take the Online Basic Certification Program before jumping into the Intermediate Training. Each section will build on itself, so by the end of the two Courses, you will have learned over 55 new poses. Wow! If you would like to be one of the first people to experience the Online Intermediate Course, I have a special 1/2 price discount for you! Use coupon code: course50 at checkout, and in return I welcome any feedback, comments, or inspirations. I hope you love it as much as I’ve enjoyed creating it 😉 Thanks so much for joining us. Take this course from anywhere, at anytime, from the comfort of your own home. This training is suitable for level II teachers and more experienced students. It is required to complete the Online Basic Training before you begin. Our Deluxe Yoga Swings are the absolute best way to help open, align, and release the spine. All equipment and original sequences are designed with great support and comfort in mind. Yes-- I am ready to take the Course! !